Fear of not finding the nearest storey? 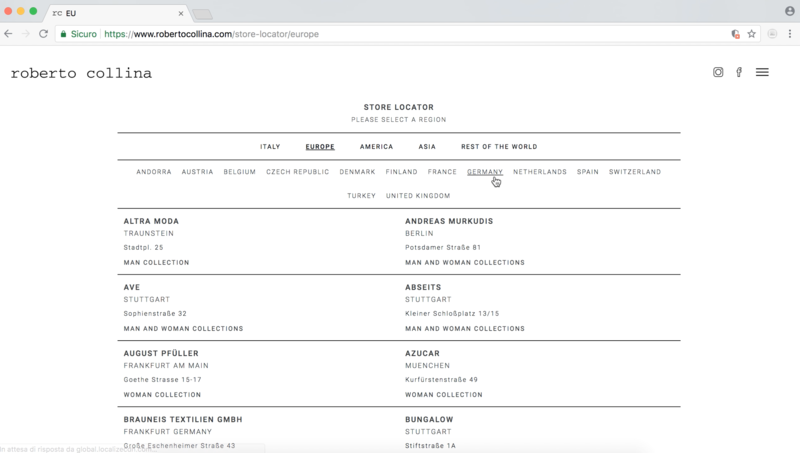 Do not worry, starting from today the store locator service will be able to show you the store with the Roberto Collina's collections closest to you. Our customer care and attention is never enough, we always want a more complete and better experience for you.